A few weeks ago, I promised to report back on what we’ve been doing to make the Home Office a world class digital business. I’m delighted to announce that I’ve appointed Katy Arnold to the post of Deputy Director, Design and Research. Katy has been with Home Office Digital, Data and Technology (DDaT) from its start in 2015. 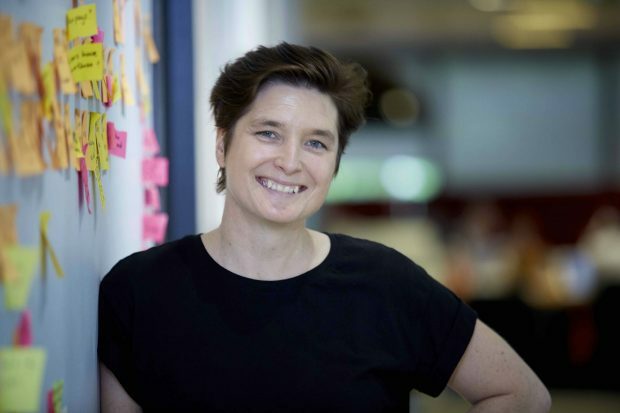 As Head of User Research and Design, then Head of User Research, she’s been instrumental in pushing forward the department’s digital transformation agenda. As I said in my earlier post, people are at the heart of rising to the challenges that new technology and efficiency targets bring. Katy’s work to build capability and teams is a shining example of that. From a team of 2 civil servants in 2015 to today’s 100 designers and researchers, she's built one of the most respected user-centred design practices in government. Katy will now work with me on the strategy and structure of the Chief Technology Office. This includes identifying the new senior roles we need to make DDaT a modern digital delivery capability. Her leadership in the design and management of end to end services will help the department reduce cost and improve performance – as well as deliver better outcomes for users. In government we build products and services that must work for everyone. Katy’s focus on accessibility and inclusive design has laid strong foundations for the future. I cannot wait to start working with Katy to create a diverse and talented team, ready for the challenges and opportunities ahead.